In February and March 1972, The Queen and The Duke of Edinburgh undertook a tour of Singapore, Malaysia and Brunei. 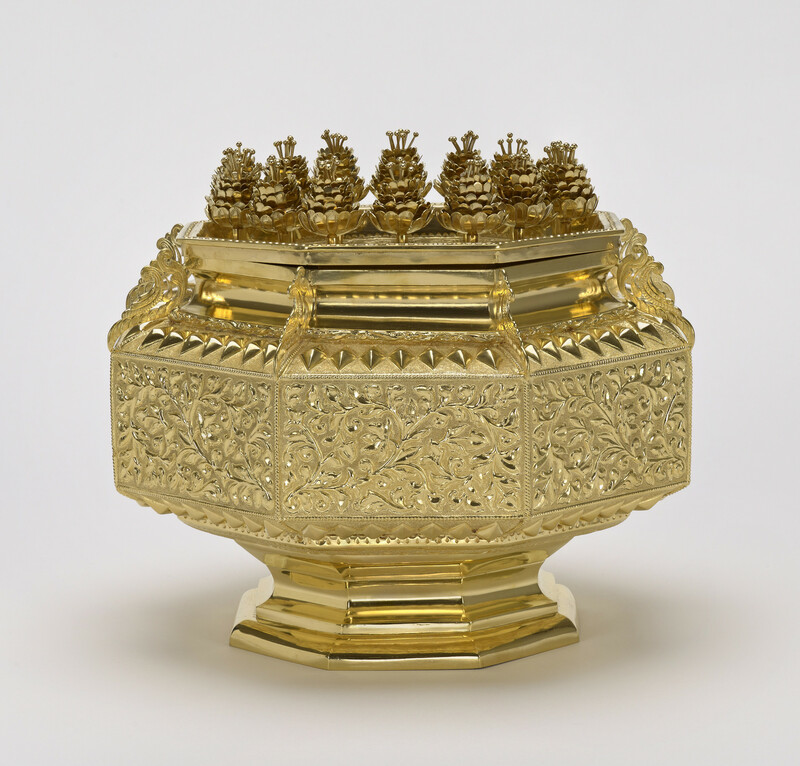 As part of this tour The Queen paid her first visit to Brunei when The Sultan presented Her Majesty with this octagonal gold box decorated with pine cones and a stepped foot in repousee and chased gold work. The cover has sixteen oriental flowers attached to the edge, the centre has the Brunei lion and leopard coat of arms.